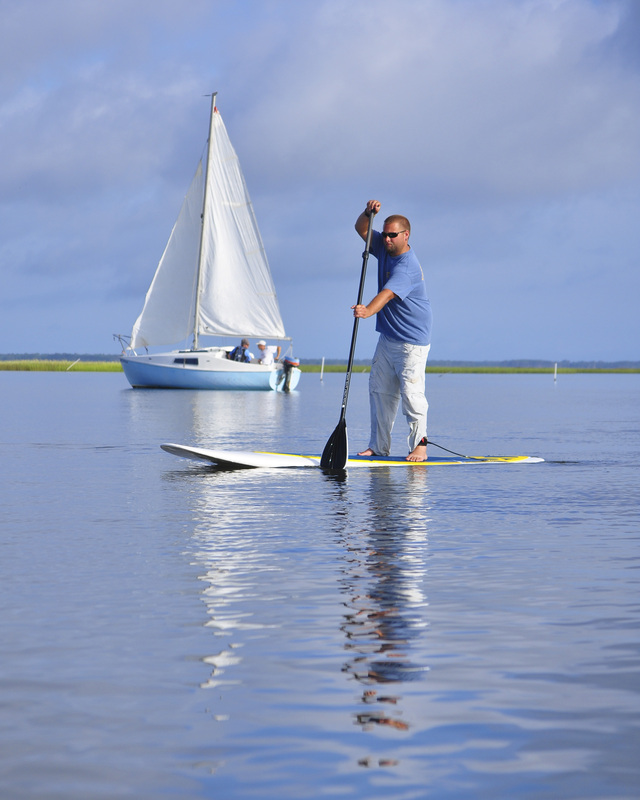 We have quick and easy access to The Straits, the body of water between the mainland and Harkers Island. 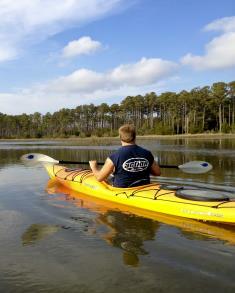 Our unique location is a haven for kayakers - beautiful, pristine waters, abundant wildlife, marshes, and minutes away from the Shackleford ponies and Cape Lookout. Your kayak adventure will take you places to see blue crabs, sand dollars, hermit crabs, periwinkles, oysters, starfish, sand fiddlers and sea squirts. 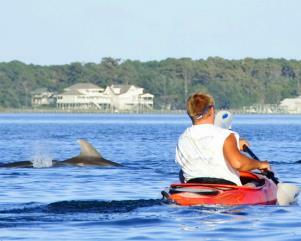 During your kayak adventure, you may be able to see dolphins, cow nosed rays, egrets, blue herons, oyster catchers and much, much more! Birds are an every-day occurence. White egret, gray heron, sea gulls, shore birds, and turns . Along certain sections, you can see several species of ducks as well as canadian geese. 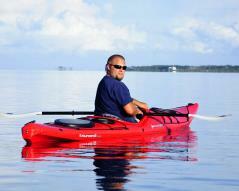 Kayak guide, Christopher Miller, is both familiar with the waters and is able to provide you a most enjoyable tour! Young and energetic, he will take you along the shoreline, marshes, and open water to make sure you experience all that is available in the area. WE ARE LOCATED "Down East" - - in the community of Straits, right before the Harkers Island Bridge. And great places to visit that are located near us are Cape Lookout Lighthouse and National Seashore and the Shackleford ponies - - right at our back door! 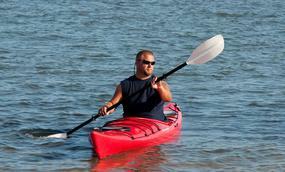 Your kayak adventure will give you the time of your life as you paddle The Straits, Core Sound or Back Sound! It's a great family activity for folks of all ages! 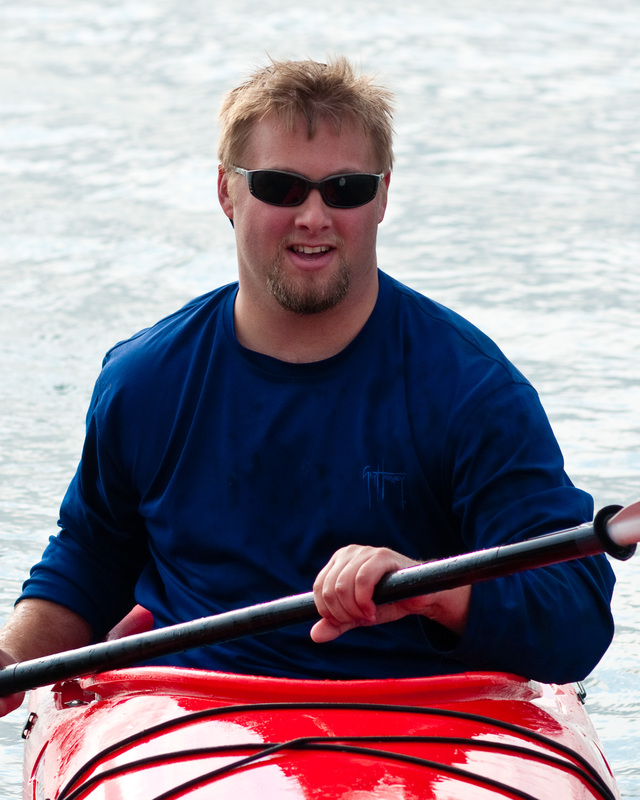 Although you may have no prior experience in a kayak, you will be pleasantly surprised at the comfort, stability, and effortless steering of our one or two-person kayaks. You will be amazed at how enjoyable this truly unique perspective of coastal scenery and wildlife can be. For kayaking, we recommend wearing something on your feet that you don't mind getting wet, shorts or light pants, a seasonable top, and a hat that provides sun protection. Other items you may want are sunscreen, sunglasses, binoculars, camera, snack, and water. And, oh yeah, come with the expectation of having an absolutely great time! We have Stand Up Paddleboards! Paddleboards are great fun! If you've never tried a paddle board - now's the time!! and view a fabulous sunset ~ clouds permitting of course! Reservations are required and need to be booked a day before all tours.